From time to time, school administrations have concerns on getting started with Weekend Survival Kits (WSK). They may see the Weekend Survival Kits program as more work to an already busy day/week – seeing challenges to the on-boarding process. Interested schools should know we have structured our delivery program so that we are only coming to the school with kits twice a month. Each kit is packed with enough basics to cover two weekends. Another perceived big challenge is getting the USDA proxy form signed by parents or guardians. This is essentially another permission slip. Some schools may be concerned about being too intrusive to the families in need. Other programs might not require this proxy form; however, our organization has received a certification from the United State Department of Agriculture (USDA). That certification is a good thing – making it possible for us to purchase food from the Feeding America network of Food Banks at an extremely favorable rate. This enhances our ability to say yes to more schools, and more kids. There is more good news. When a school has more than 85% of kids enrolled that qualify for the federal free and reduced-price lunch and/or breakfast programs, there is no requirement to get the proxy forms signed. The need is assumed and parents or guardians will only have to opt-out if they are able to adequately cover the nutritional needs of their school-aged children over the weekend. Some schools will also have concerns about the logistics of receiving and distributing the kits. For some it is a concern about confidentiality for the participating students, for others it is simply the work of getting the kits distributed in a fast and efficient manner. If this is a school new to this process we can help them by sharing what has worked for other schools. Depending on the school, our volunteer teams can even help with the distribution process in the school building and make short work of the process. When we begin a new relationship with a school we try to reassure the personnel that WSK is not there to create more work. We are on the same team with the same goal. The teachers of the students who qualify know the importance of the food and can point to the challenges to learn that kids that come to school hungry face. 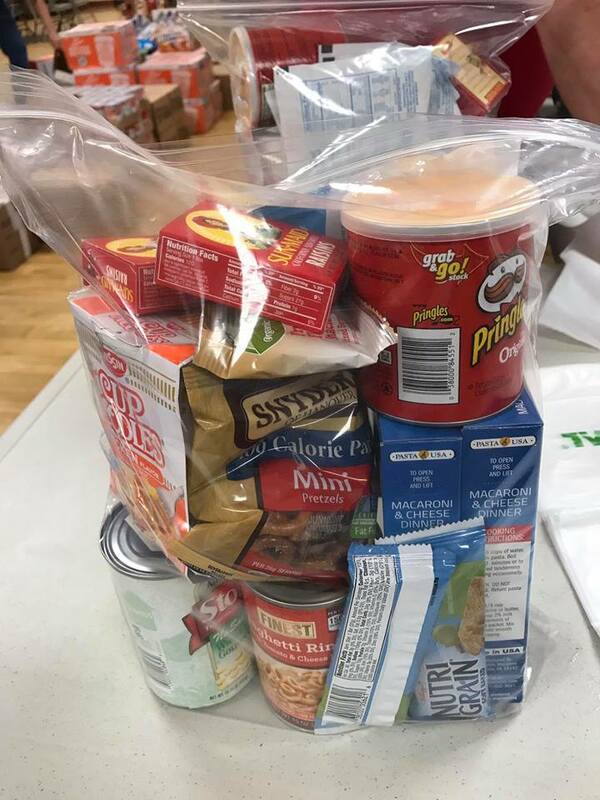 Remember, WSK is filling the gap left by the federal school lunch and breakfast programs by mobilizing local communities/schools to raise the funds necessary to purchase, package and deliver the food for the Weekend Survival Kits.